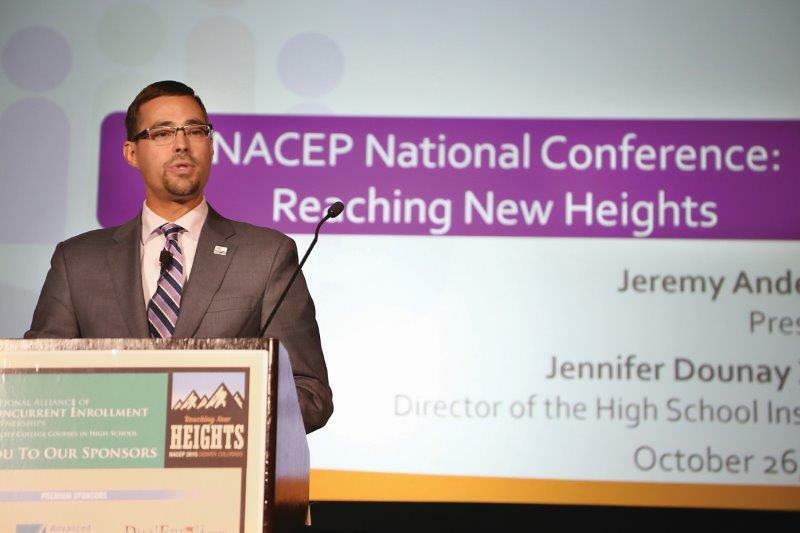 Through our national network of engaged members, NACEP achieved new levels of impact in 2015, advancing quality college courses in high school across the country. 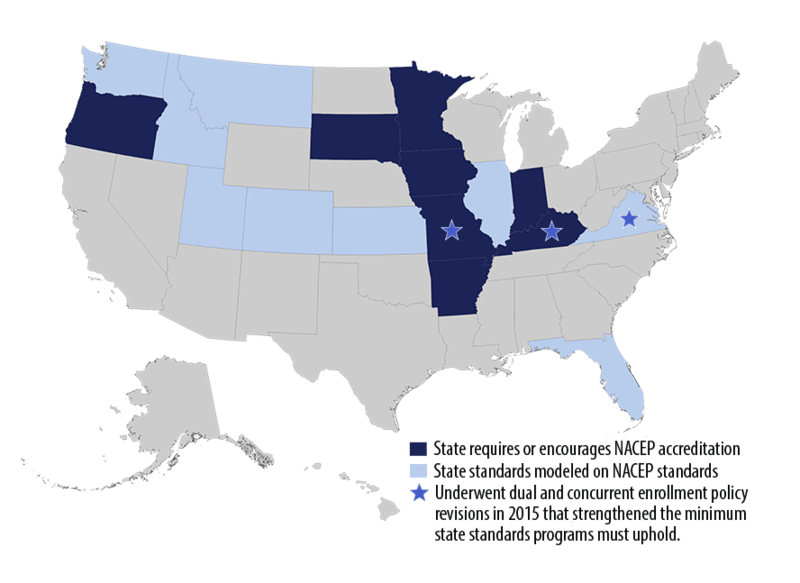 Membership continued to grow and our influence grew both locally and at the national level. 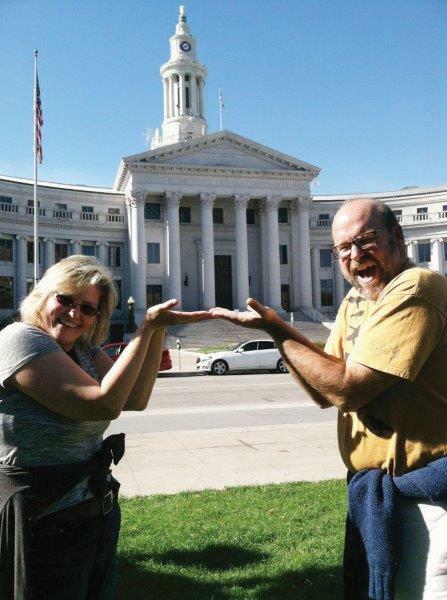 The National Conference in Denver was another great success. 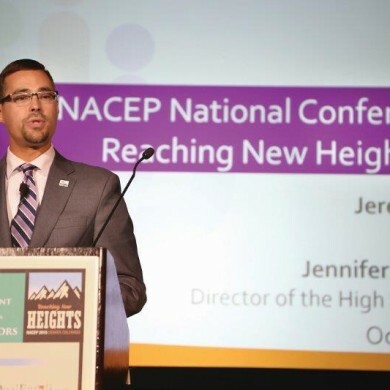 Learn more about all that NACEP accomplished in 2015 below. 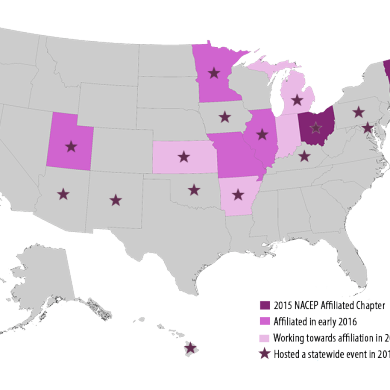 In 2015 NACEP offered more services and saw more growth than ever before! 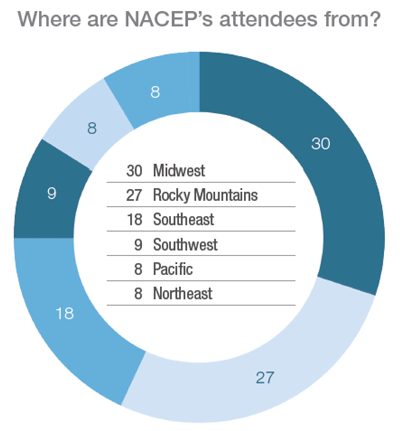 NACEP had 84 new members, bringing total membership to over 400 organizational members for the first time in its history. 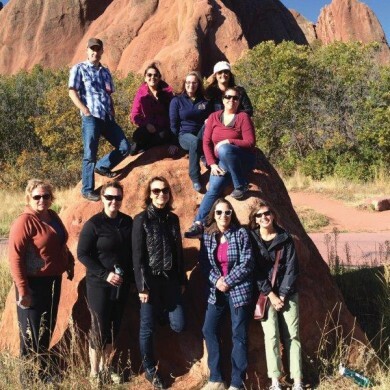 The New England Alliance of Concurrent Enrollment Partnerships joined NACEP as its second affiliated chapter, and with NACEP’s help, many other states began organizing for the first time. 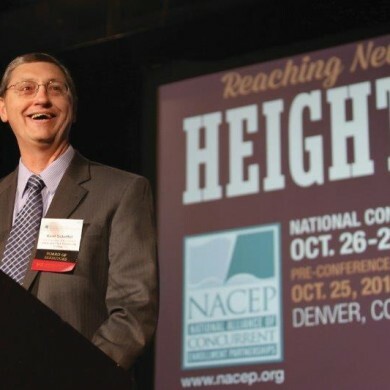 NACEP continues to expand the portfolio of services it offers to its members. Of particular note is the publication of NACEP’s first issue brief—Discipline-Specific Professional Development for Continuing Instructors. 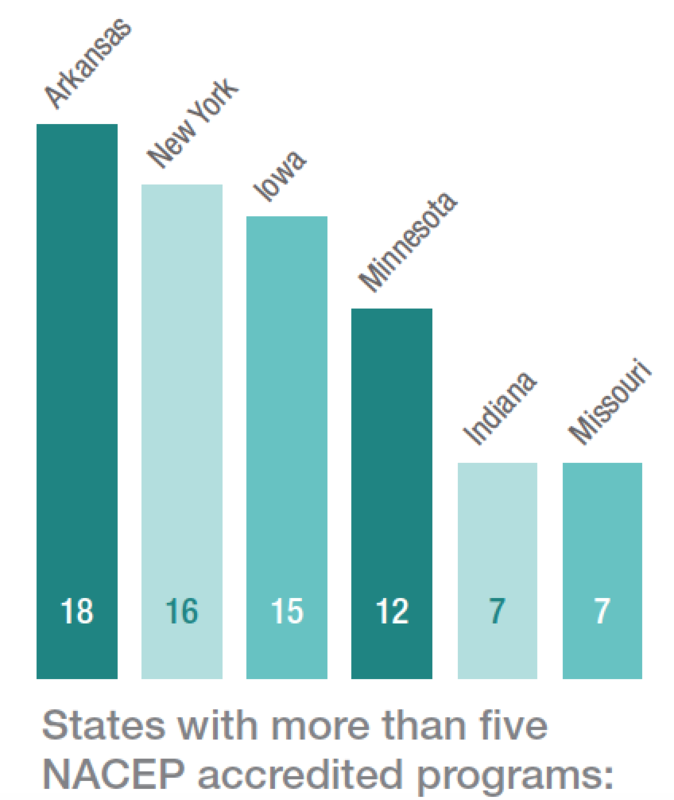 Twelve programs earned accreditation from NACEP in 2015, 5 of which came from Missouri. 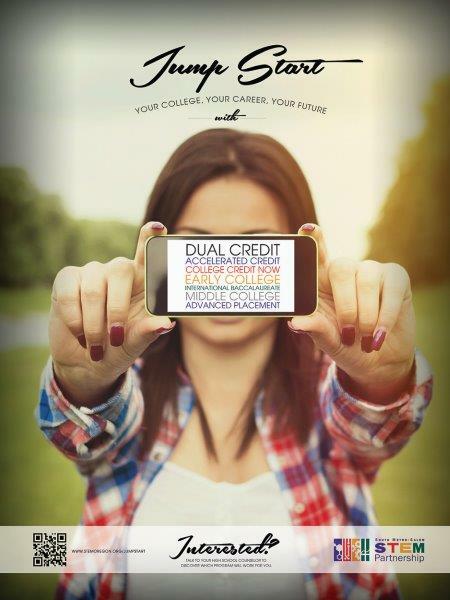 In 2015, Iowa became the first state to have all of its community college concurrent enrollment programs NACEP-accredited. 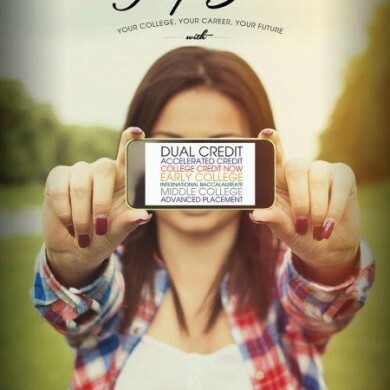 Accreditation is awarded to programs after a comprehensive peer review by a team of experienced representatives of NACEP-accredited concurrent enrollment partnerships. 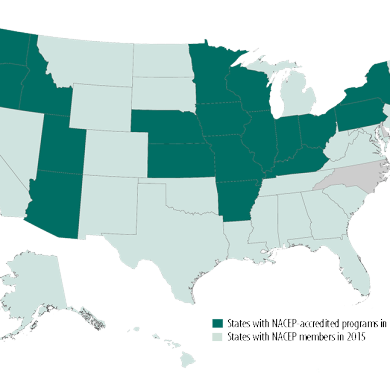 NACEP finished 2015 with 97 accredited programs representing 19 states. 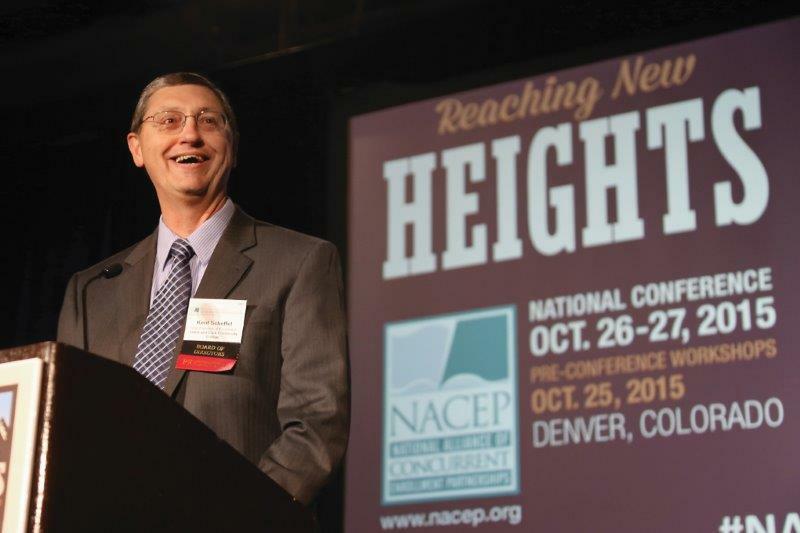 NACEP’s National Conference keeps getting bigger and better! 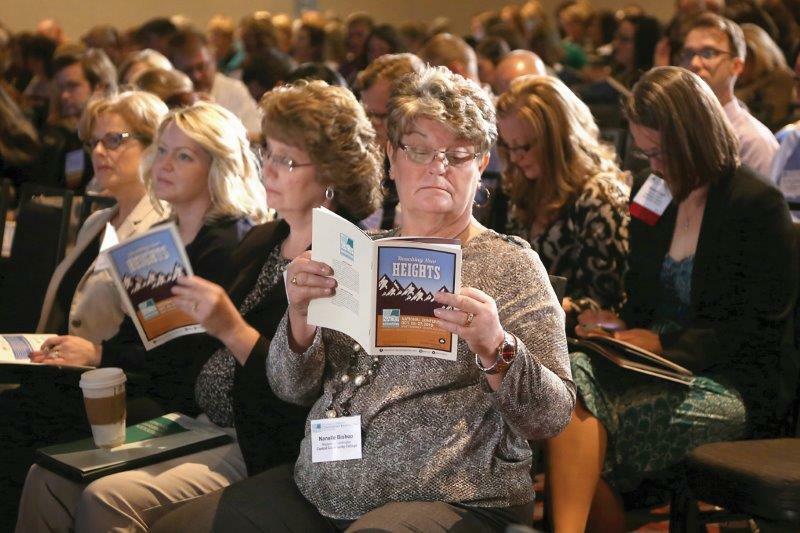 This year, our 2015 conference, Reaching New Heights, took place in Denver, Colorado on October 25-27. 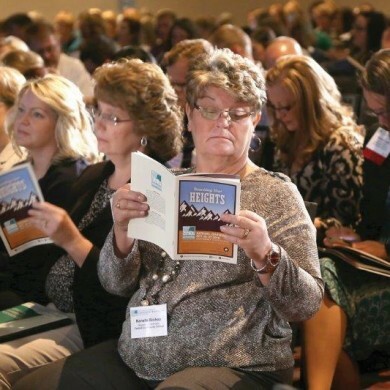 Over 850 attendees, representing educational professionals from 46 states and the District of Columbia attended. 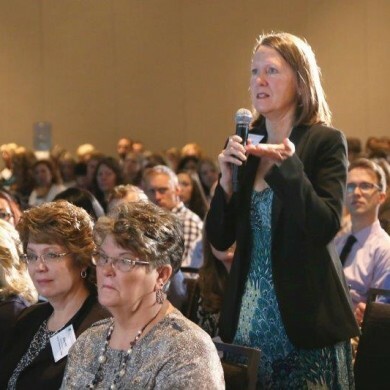 One hundred forty presenters hosted 67 breakout sessions on everything from Managing Stinkers in your Program to Addressing Faculty Shortages to Infusing Cultural Capacity into Concurrent Enrollment. 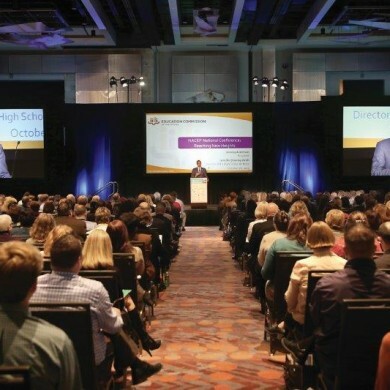 For the first time, NACEP hosted Big Ideas Sessions to introduce broad-reaching ideas and practices as well as smaller, discussion-based sessions called Summits. 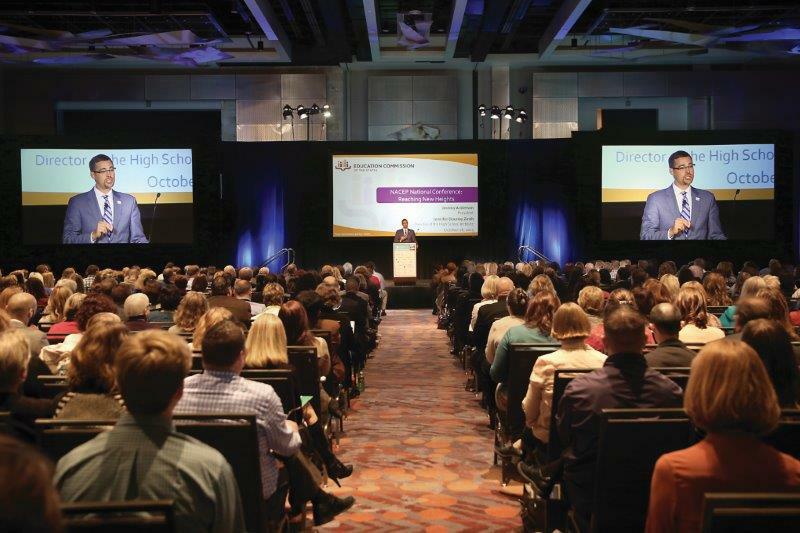 Thirty sponsors generously supported the conference, making our 2015 conference the most supported conference to-date. 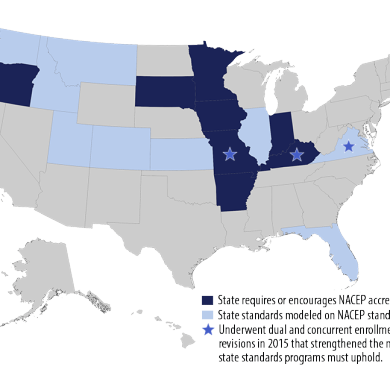 NACEP continues to enhance its role nationally as a central voice and organizer for concurrent enrollment practice and policy. 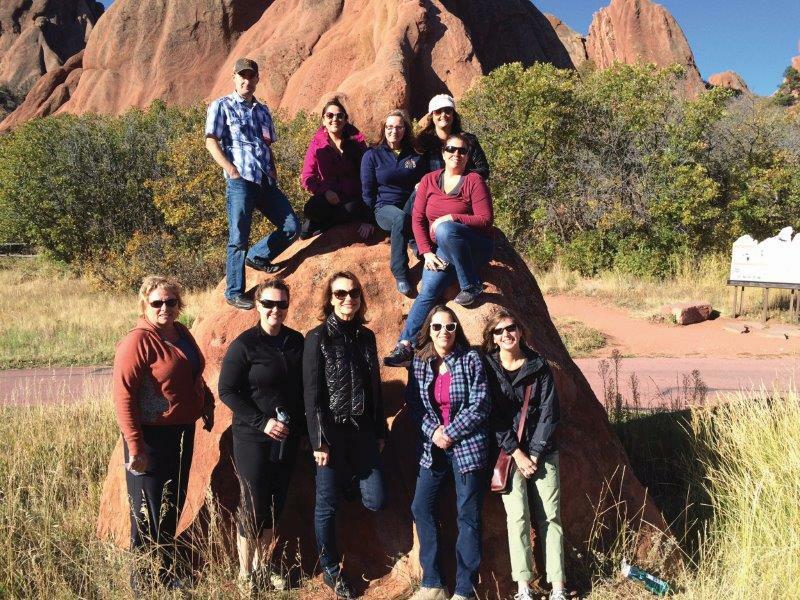 NACEP is currently working with members in over 20 states to organize state or regional meetings of concurrent enrollment professionals, conduct professional development workshops, and hold state conferences. 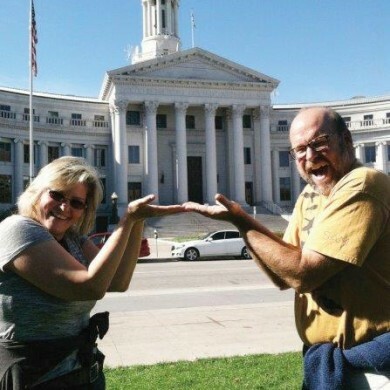 During 2015, NACEP ambassadors presented at many state and national conferences in order to educate others about concurrent enrollment and NACEP’s standards. 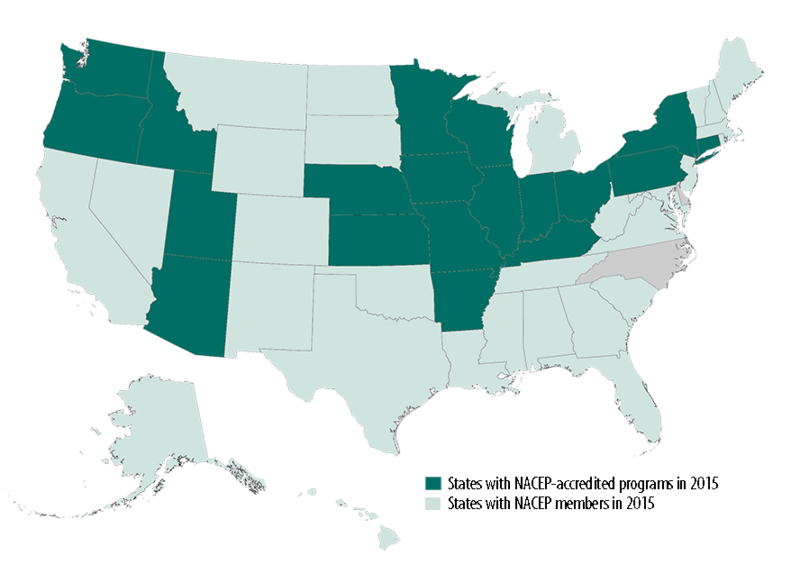 NACEP also provided technical assistance to the Schusterman Foundation of Oklahoma and the University of Hawai‘i System to increase concurrent enrollment in those states. U.S. Secretary of Education Arne Duncan and NACEP Executive Director Adam Lowe are chatting during their visit to Memphis, where Secretary of Duncan announced a one-time $20 million investment in dual enrollment. 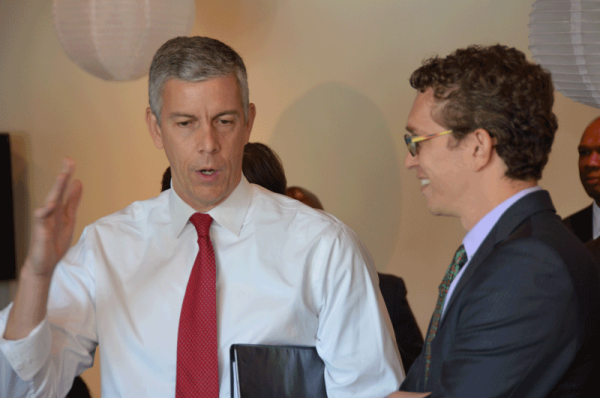 At the announcement, Lowe moderated a dual enrollment roundtable featuring Secretary Duncan. On May 7-8, 2016, NACEP hosted its third Washington Policy Seminar. 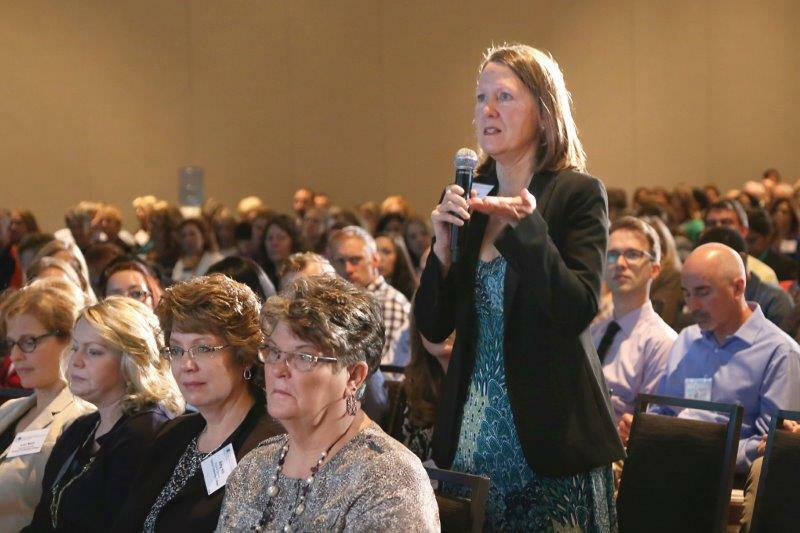 Over thirty individuals traveled to Washington, DC to learn about how the current federal policy environment may impact concurrent enrollment. In conjunction with its partners—Bard College, Jobs for the Future, and KnowledgeWorks—NACEP hosted a congressional briefing that featured innovative programs from across the country. 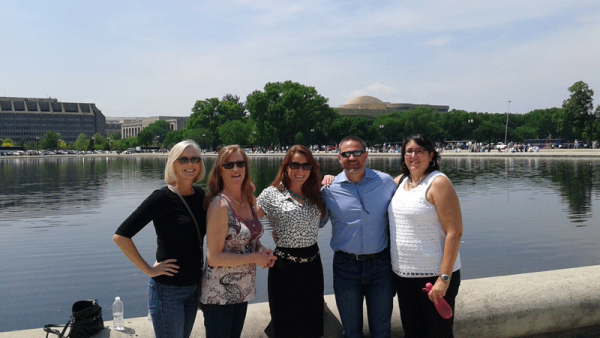 Chair of the Governmental Relations Committee, Kathleen Burns, stands with Karen Landry, Amy Williams, Tom Spillman, and Michele Brown in front of the Capitol Reflecting Pool.